Kutchan town held its annual “Jaga" matsuri over this past weekend and as expected attendance was strong. The festival features a number of events but the 3 premier ones are the “1000 person dance”, “Illuminated float parade” and the fireworks display. 360 Niseko was there for all three events with our stills, high def video and aerial cams. This matsuri marks the unofficial turning of the season and a quick look around the mountains will reveal the Itadori plants starting to yellow and the odd lone Shirakaba leaf blowing across lawns that signal the stirring of old man winter. 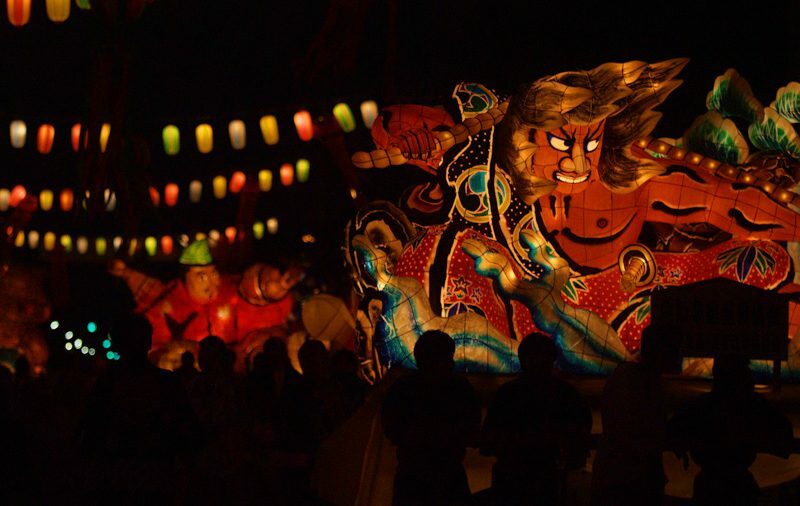 Around 7.00PM on Saturday night the float parade wound through the matsuri site and no matter how many times you have seen these parades they are still special. The general vibe is upbeat and with a background of children squealing in delight as the big bright floats wind through the streets to the beat of a giant taiko drum is quite the contrast to Kutchan town in winter. There is a very strong sense of the pride the townspeople have in these parades and it’s something not to be missed. The 1000 person dance was on Sunday and this involves as the name suggests 1000 people from all the various business’s and enterprises winding through the matsuri site in a dance. Saki runners keep the dancers fueled and again there is an overwhelming sense of town pride clear and present. Things peak with the fireworks display and the bright colours above Kutchan train station and the snowman are almost a perfect page turn for the down hill run to Autumn which will be soon sneaking down the peaks behind the station in a tide of reds and yellows. The cold is still a ways off though and Barbecue season is in full swing so make sure to get out and enjoy while you can. We will have a video of the Kutchan Matsuri up in a few days time so stay tuned.